Established in 1994, ICF is dedicated to the promotion of the art, science and practice of professional coaching, and the credentialing of professional coaches. ICF is the leading professional organization for the coaching industry in the world. ICF has over 20,000 members from 110 countries in the world at the beginning of 2013. Over half ICF professional members reside in North America, a quarter in Europe. At the moment, more and more people in China know about the values of coaching, learn about coaching and want to join ICF. 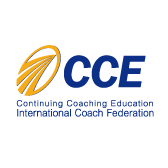 ICF is the world-renowned platform for the credentialing of professional coaches. 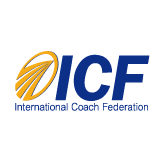 ICF does not provide coach training seminars. The series of seminars offered by ACMA receive accreditation and the award of CCEs from ICF, assist you to be ICF credentialed coaches and become ICF members, making advance in the professional coaching arena. We are proud that ACMA is a training institute that you can rely on. To achieve ICF coach credentialing, one must have coach-specific training provided by training institutes recognized by ICF. With high standard and requirements, ICF distinguishes training institutes and approved professional coaching programs provided by specific high-level training institutes in the world, i.e. Continuing Coach Education providers. The purpose of coaching experience is to provide support for the efficacy of professional coaching. After assessment and mentor coaching, can apply for ICF credentialing to attain professional coach qualification.